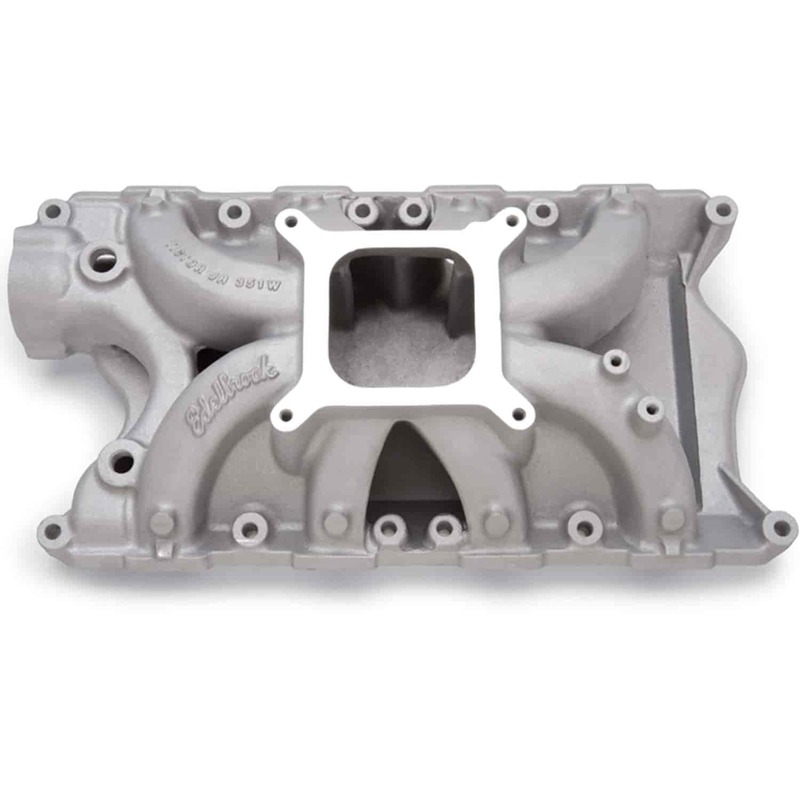 Designed for competition 351 Windsor Ford V8s with a 9.2" deck block and the following heads: Edelbrock Performer RPM heads 350-60259, Victor Jr. heads 350-77169, Victor heads 350-77219 or equivalent. Ideal for both oval track and drag racing engines operating between 3500 and 7500 rpm. Runners have a 2.70 square-inch cross sectional area. Carb pad height = 5.75'' View Manifold ''A/B'' Measurement Guide. Expertly crafted from cast aluminum these Edelbrock Victor Series Intake Manifolds for Ford engines are single-plane, high-rise intakes designed for higher engine speeds and maximum race-winning power! Engineered in conjunction with leading engine builders and racers from all forms of competition these intakes incorporate modern design with the latest racing technology. With such a comprehensive selection of high-performance manifolds, you can choose the best "Victor" to match your carb, cams, and heads for a winning formula of horsepower, torque, and RPM. Victor Jr. manifolds are cast with excess mass in appropriate places for custom port matching.Victor manifolds are available for single or multiple-carburetor set-ups.